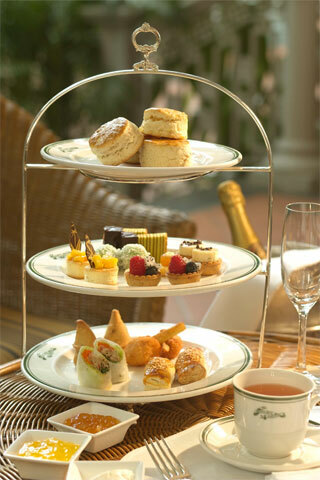 The Raffles Hotel in Singapore has been serving high tea for more than one hundred years. 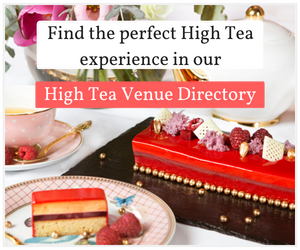 This is a high tea with old world charm and real sense of occasion to it. 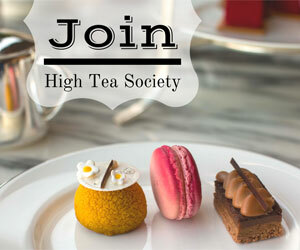 High Tea Society was delighted to sit down for high tea at internationally renown Raffles Hotel in Singapore. 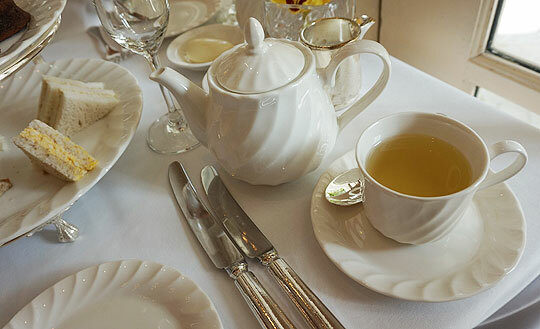 Serving high tea for more than one hundred years, Raffles’ high tea has an old world charm and real sense of occasion to it. 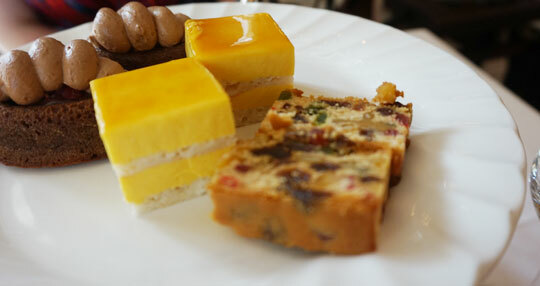 After being ushered to a table of crisp white linen in the hotel’s Tiffin Room, we were offered a three tiered stand consisting of sandwiches and small cakes, such as an orange chocolate friand topped with raspberries, a layered mango mousse cake and a strawberry tart. 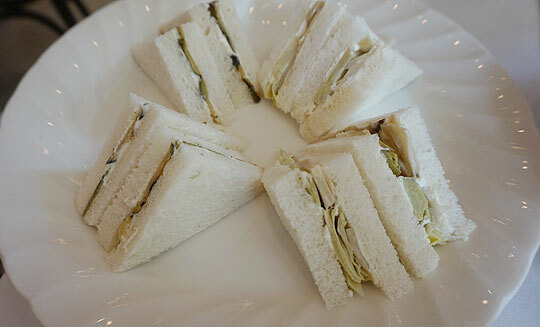 My request at the time of booking for vegetarian sandwiches meant that in addition to the more classic egg, cucumber and cream cheese, turkey, tuna, salmon and cream cheese sandwiches, we were also presented with a plate of mushroom cream cheese and artichoke cream cheese sandwiches. These were quite nice classic triangles, however, the bread was a little dry on some of them. The highlight was the egg sandwiches, which were moist and really well seasoned. Tea and coffee were offered, as was a glass of champagne. 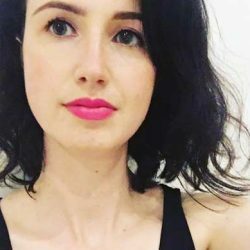 There was no tea menu, just a choice of English Breakfast, Earl Grey, Oolong, Mint or Camomile. It arrived as unbranded loose leaf in a classic white teapot. My high tea guest had coffee which was decent, though not up to Melbourne cafe standards. 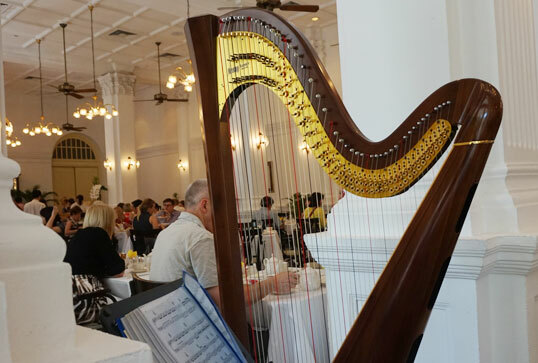 We were positioned right next to the harpist, who played well known classical music and hits from musicals. Beyond the harpist lay a decadent buffet spread which comprised of a dumpling station with five or six kinds of dumplings, savoury pastries, sponge cakes filled with lemon curd, chocolate truffles, an iced tea station, warm bread and butter pudding, plus additional servings of the small cakes on our tiered stands. Executive Pastry Chef David Pierre’s buffet also, of course, included large trays of scones, to go with the strawberry jam and cream already laid out on our table on arrival. 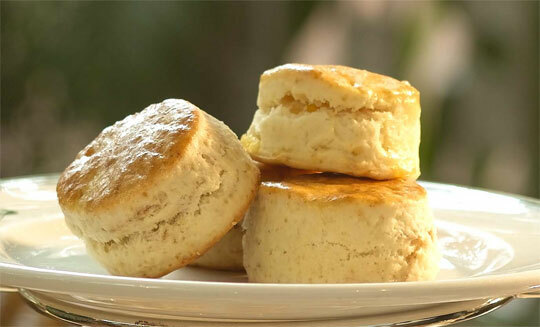 The scones were fresh and quite fluffy, but a little lacking in flavour and the strawberry jam was pretty lacklustre. The cream, however, was presented in a beautiful thick quenelle and was absolutely superb. I heard at least two other tables comment on the cream, so I know it wasn’t just me enjoying the dreamy little curls of dairy. The other highlight for me was the warm bread and butter putting, served with crème anglais at the buffet. It was rich and buttery, with plenty of real vanilla bean. 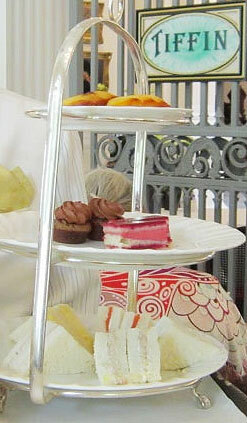 For savouries, the highlights of the high tea were the miniature croque-monsieurs and the dumpling station. The offerings did vary slightly from the advertised menu online, but mostly the differences were additional items not outlined in the advertised menu. The selection of menu items was nicely presented on Luzerne china and English Gainsborough silverware. 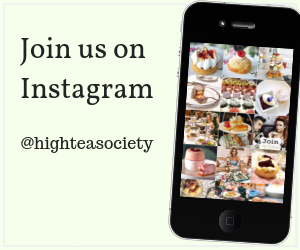 Most people taking high tea were international tourists and/or hotel guests and probably there for the history and ambience over the scones and sponge cakes. Men were in pants, covered shoes and collared shirts (mostly short sleeved because of the hot weather), with a few older men in jackets. Women wore everything from skimpy summer dresses to light pants suits to loud kaftans and a lot of diamonds. The room itself is beautiful, with colonial style decoration, high ceilings, grand furniture and hundreds of white orchids. The room’s windows look out onto a courtyard featuring a large water fountain. Staff were very attentive and spoke good English. Overall, dining at Raffles feels like taking part in something historic and significant. It’s what visitors to Singapore have been doing since its establishment in 1887 and, despite the food being a little variable in quality, the service, charm and setting made me see why that’s the case. $58SGD (or approximately $52 AUD) per adult, plus taxes and service charge.